Find out about the climate control system in your building and ask the manufacturer about weatherproofing their windows and doors or find the instructions from the service booklet or the building service booklet, if possible. Let the building manager or service company know about possible weatherproofing issues. If the previous seal profile or type has functioned well, it's a good idea to choose a similar one to replace it. There are several different types of profiles and materials, meant for different applications. See more information from choosing the correct seal. It's best to weatherproof big, heavy and difficult to handle windows and doors where they are but especially during the summertime small windows and doors can also be removed from their hinges and weatherproofed on a flat surface. Old weatherstrips are detached by tearing them off and possible staples with a knife or a screwdriver. Groove seals can be detached by pulling the seal out of the groove. You should vacuum and clean the space between the windows with a damp cloth. The surface must be cleaned well by removing all dirt, dust and old glue with e.g. acetone. The best finish is achieved by installing the seal directly to a freshly painted frame. When re-weatherproofing windows and doors you should always replace the old weatherstrips. The seals are installed to the inner and/or middle frame. 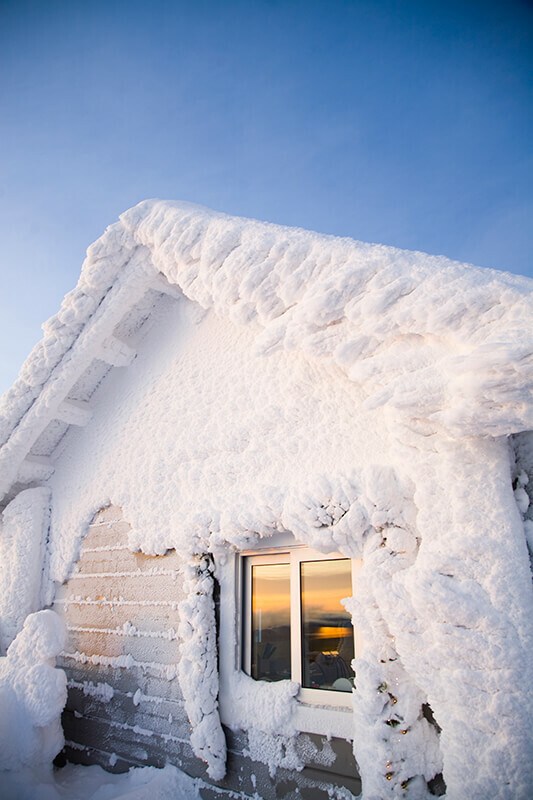 Make sure the windows don't sweat as this will lead to freezing in winter. This problem doesn't usually happen if the windows are made of thermal glass element. Outer frame should be weatherproofed so that you leave approx. 20 mm gap in the seal both to the upper and lower ends of the frame. The vertical weatherstrip should cover the whole length of the vertical frame. This way you prevent water, snow, cold, dust and noise from getting between the frames. The procedure maintains the structure and increases the windows' lifecycle and maintenance interval. Installing self-adhesive and groove seals is easy but silicone seals are often better in renovation cases where the gaps vary a lot. We now also offer a self-adhesive silicone seal. The seal can be cut with scissors or a knife. Also, you can cut a three-notch so that the vertical and horizontal seals are easy to install next to each other. In apartments with a mechanical extract ventilation but no replacement air-valve the windows are often too well sealed. This creates problems which often manifest as a low air pressure and e.g. whistling of the mailbox. Need for replacement air can cause air leakage in other structures so in these apartments you should make sure you remove enough seal from the top of the frame (make a test first with e.g. 10 cm removals).